Selene Yachts fuel tanks are now made in marine grade aluminum. Although the original FRP tanks which have been used without any issue for over the 10 years in the Selene trawlers can last forever as well as fit perfectly the curvature of the hull, thus allowing for maximum capacity, aluminum fuel tanks have been used by many reputable shipyards. They are light, strong with a stable density and no leaks when welded properly. They are also fire-proofed. 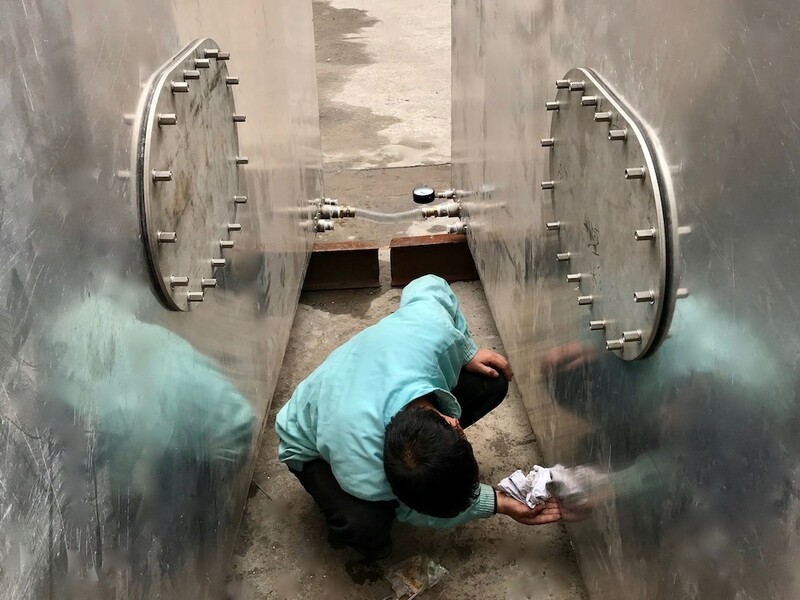 Every Selene Yacht aluminum tank will be made in 5052 Marine Grade Aluminum sheets, 6mm mostly, and will be pressure tested when filled full with fresh water. All the connectors are solidly welded and the inspection plates are bolted with an anti-oil rubber packing. Baffles with man-holes are properly installed inside the tanks.